As someone also dealing with "chemo brain" while trying to start my first blog, I applaud you for saying all of this out loud! Even my Oncologist believes chemo brain is something that goes away the further from treatment you get. This is simply not the case. I experience all you have described here and issues with word recall, and concentration. I can no longer multitask the way I used to, and now, trying to stay on topic when I write is extremely difficult. I keep having to walk away and revisit my writing later, and by then the point I was trying to make is lost. Like you, I have notes everywhere, and then deal with the frustration of not finding the one I need when I need it. With many more people "surviving" Cancer these days, there has been insufficient research in this area and I hope the more vocal we get about it the more progress will be made. Thank you! Thank you, Janis. Sometimes the simple act of validation can help in the most frustrating moments. It doesn't make it better, it just makes us pause and remember there are people who do understand. Thank you for allowing me to hit my pause button. Yes, to research and I know there are a growing number of researchers in this field. Hoping for better progress than, "Always put your keys in the same place." Very well written and understood. I had head injury, additional to chemo-brain. My prayers are with you!!!! Oh AnneMarie you can see right into my soul! You described my experience so eloquently. I spend a lot of my working life making presentations, so chemo-brain is an added stressor for me. To know I am not alone is a great comfort. Thank you for writing this. This experience this Chemotherapy just rewrote all of our adult minds to gibberish. No matter how much doctors, nurses the medical staff assure you will be normal. Let me explain to you medical people. My mind that I have honed since I was conceived is destroyed. My greatest previous attempts before chemo-brain fog were at the hang man stick figure stage. My new path is http://www.scbwi.org Society of Children’s Book Writers and Illustrators. “B.S. I see the drawings. I dream in the drawings. I am in the drawings. Explain it to me since it is driving my life now!" Everyone with Chemo-brain there is hope. You just have to find the new three year old path for you. Wow! I cannot tell you how thankful I am to have stumbled across your page! I finished chemo in 09 and I'm still struggling with chemo brain. I recently determined this was the issue because before I always found a reason to write certain instances off. I am now trying to get testing accommodations for the LSAT and my oncologist is shaky at best. I'm not really sure that he'll sign the necessary paperwork. After reading your post I can now add more to my personal statement! There were so many things that I couldn't put into words are articulate. After reading your post you hit it right on the head! I am so appreciative that you and others here are actually willing to discuss this! I'm not sure that my oncologist believes it's still an issue thus far out and my friends and family just kinda give me the side eye. I'm not sure if they believe me or not. This is my first time stumbling across your page but I'll be back! Thank you! I will look into all of your suggestions and I'll be sure to let you know the outcome. Greatly appreciated! Hello AnneMarie, I have posted to this particular blog before. You give such great information here, especially this latest information about the research done on this. I wanted to let you know that I have continued to work on my own blog discussing the many side effects of cancer treatment from my own perspective and chemo brain even years after treatment. Here is a link to my blog, and at the bottom of my page I list some of my favorite blogs on the subject and yours is one of the first I posted about. Thank you for posting such great information! Thanks to a combination of chemobrain, moving, being out of town for half the month of April, making some major life changes and now, preparing to sell the home where I raised my family for the past 20+ years, your comment went unnoticed until now. I hope you are following the comment responses because I wanted to say thank you for sharing your experiences with me here, and on your blog, too. I'm so happy I ran into your blog ! 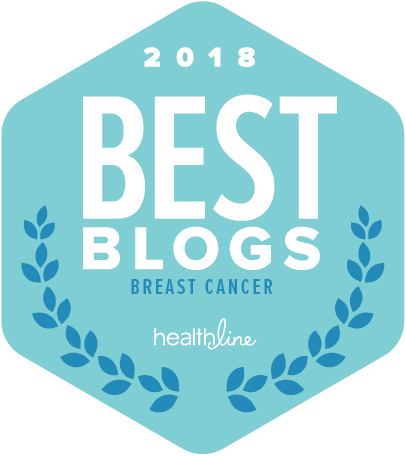 (found it in the article "The Best Breast Cancer Blogs of 2017) as you say in a comment that the simple act of validation makes us pause and remember there are people who understand. I finished my 6 treatments of TAC chemo back in May of 2004. That was 13 years ago and today reading your blog was the first time I read that others continue to live long term with chemobrain. So this wasn't a "pause and REMEMBER" for me it was a "Pause and HEAR FOR THE FIRST TIME" and tears stream my face as I read your blog and others comments. I've heard all those comments mentioned as well - ...But you're alive, You'll be back to normal in a year (what's wrong with me that I'm not back to normal goes through my head) or the "I do that to and I haven't had cancer, what's MY excuse?" The big impact on me has been my brain just going blank, running around and around in circles and can't find a single thought. When I'm stressed or under pressure it really kicks in. Or if I haven't had enough sleep (7.5 to 8 hrs) or not enough water and good food. The embarrassment of sitting there with an empty mind and no idea how to respond to the question or to finish my sentence. It's like it just freezes up. Reading your blog did not of course fix my chemo brain freeze but for the first time in 14 years I know that I am not alone. From the bottom of my heart...THANK YOU!!! Definitely **not** alone! I remember the very first time I heard some of the things that might happen. 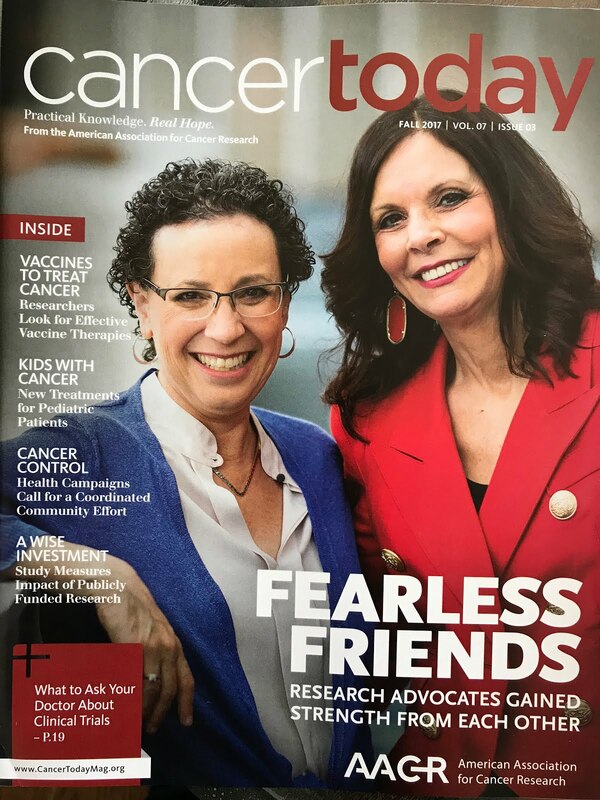 I was on a CancerConnect info call and the brilliant Tim Ahles and Patricia Ganz were talking about certain very specific things. I can recall the jaw drop and didn't know whether to laugh or cry (or put my fist through a wall for all of the skeptics who said some of those things to me.....) --- validation helps. It doesn't resolve the problem, but it surely does enable me to filter out the noise of those who continue to badger or feel the need to INVALIDATE my issues. Thank YOU for sharing your feelings with us here!! Great article. very well written. 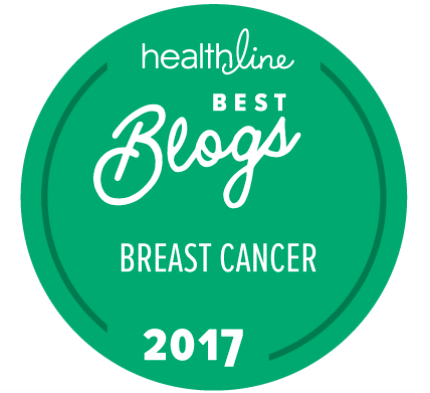 Also congrats for being one of the best articles for breast cancer blogs. Thank you, Anuj!! And thanks for the congrats. 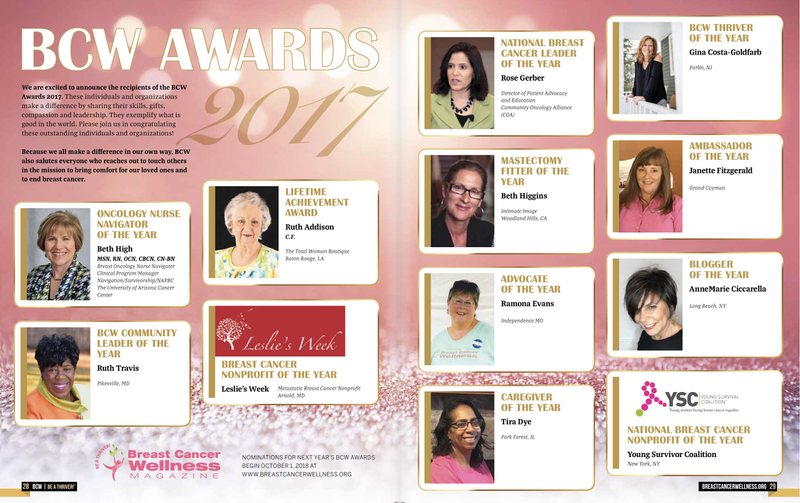 I'm humbled at the honor of being included on Healthline's list again. Hello, AnneMarie. I posted a while back about getting testing accommodations for the LSAT. I was able to get my doctor to compete the forms, I think reluctantly, but the letter is sketchy! It really doesn't say much. I think it's half @ssed. Someone suggested that I have a neuropsychological battery exam. It's looks pricey and it doesn't look like insurance covers it. This is probably a long shot but would you suggest I go this route, or do you know of anything else I could submit? People I've talked to that have received accommodations make it seem like test results are crucial to getting accommodations. I don't currently have any test results to submit. I just have the docs required and a janky letter from my oncologist. Anything from you or anyone in the forum would be greatly appreciated! You will likely have to cut and paste that into your browser. It's from Idelle Davidson's blog and goes above and beyond what you may need at this point in time. As for the evaluation, yes, they can be expensive. The most important thing is to make sure you have the tests done by someone who is familiar with the nuances of chemobrain issues. Often, the deficiencies won't show up unless the person doing the testing knows what tests to perform. I would submit what you have and I would print out some of the supporting research. This is an amazing blog on matters to do with cancer keep it up. I'm taking ANASTROZOLE (my cancer was discovered in Sept 2016, both breast removed, 1 lymph knob and bypassed cemo (optional) then 28 rounds of radiation. Taking Anaztrozole and having so may side effects. Also concerned as recently (a couple of weeks ago ) found blood in my urine but no infection, going back to doctor next week for the blood in urine. I am trusting my doctors, a learning experience and scary. Any feedback about the Anastrozole and those taking it is appreciated. Thank you! I totally related to everything you communicated. I have been searching all over for some answers, validation, acceptance, etc. My Family members get frustrated with me in conversations. I just shared the article with them (@3:30 AM), to see if that will help resolve some of our frustrations with communicating. Again. Thank you for sharing. Everything is very open wih a really clear clarification of the challenges.